Styled with mini skirt and tuxedo blazer . 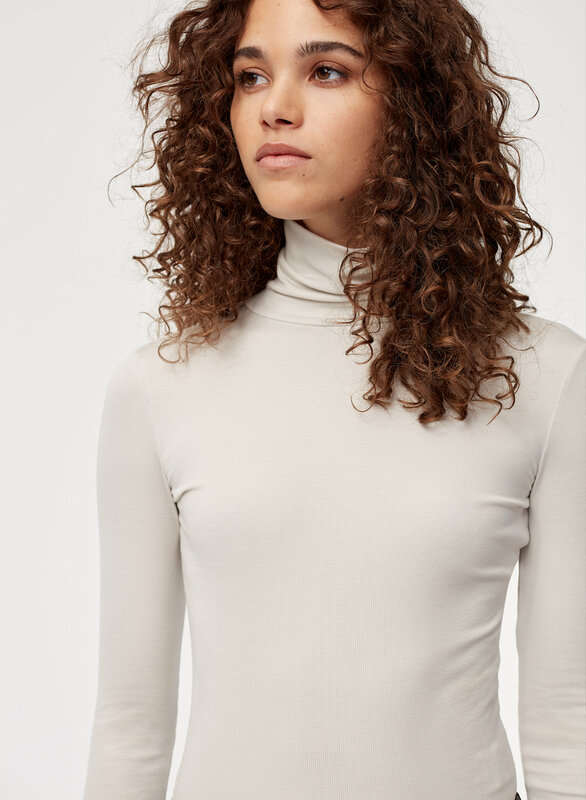 Made from a soft, ribbed fabric that holds you close, this body-hugging turtleneck is perfect for layering. This shirt looks amazing with my leather jacket. It is quite see through though, so I had to buy a seamless cami to wear underneath. 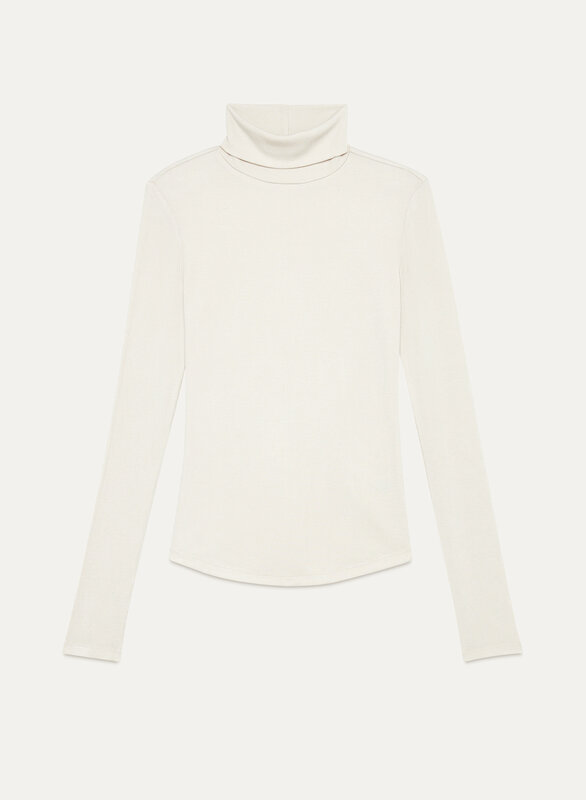 This turtleneck is seriously so cozy. I got it at a discount price which made it even better. I would still pay the original price though because it’s totalky worth it. A variety of great colors and super cozy.